Patient Blood Management (PBM) is an evidence-based bundle of care to optimise medical and surgical patient outcomes by clinically managing and preserving a patient's blood. The literature identifies three independent risk factors for adverse patient outcomes: anaemia, bleeding and blood transfusion. This approach can be represented as a nine-field matrix. Managing the patient’s blood and haemopoietic system is like managing any of the other organs and organ systems during the patient’s care. Specialists manage the heart, the kidneys, the endocrine system, etc. 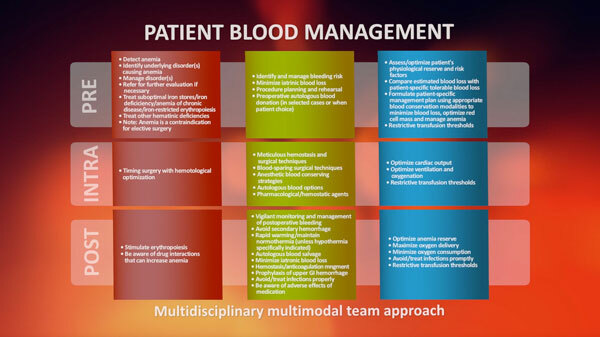 The patient’s blood requires similar clinical management. The haemopoietic system and its circulatory products are pivotal for the healthy function of the human organism. The International Foundation for Patient Blood Management is committed to ensuring that this unique and vital human resource is appropriately managed and maintained in health and disease. To this end the Foundation promotes scientifically based medical and surgical Patient Blood Management techniques aimed at conserving a patient’s own blood and minimizing or avoiding the need for the transfusion of allogeneic blood components. The Foundation acknowledges that altruistically donated allogeneic blood, given in trust, is a valuable community resource. However, it is a costly resource with significant potential for adverse clinical outcomes. Accordingly, it should only be used as therapy with patient consent when there is evidence for potential benefit, there are no alternatives, and the risks are appropriately considered and balanced against the benefits. 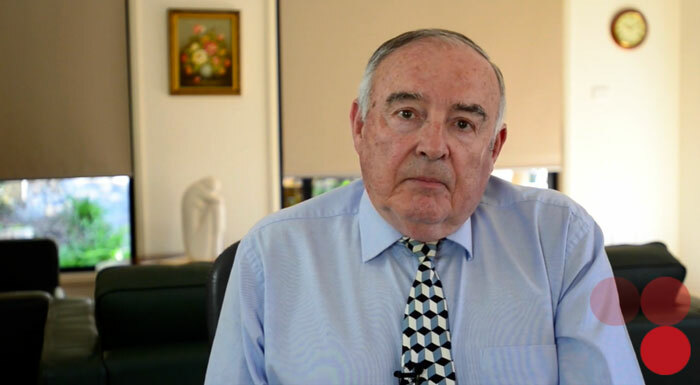 In this context the Foundation, as a multidisciplinary organization, is committed to aligning the best medical evidence with ethical and economic considerations that ensure that Patient Blood Management related therapies are appropriately assessed for cost effectiveness, with patients’ choices and blood donors’ trust being respected.